In a photo from NASA, sea ice along Greenland's coast, April 27, 2018. The Arctic has been warmer in the past five years than at any time in the modern era, scientists said. The effects can be felt far beyond the region. Persistent warming in the Arctic is pushing the region into “uncharted territory” and increasingly affecting the continental United States, scientists said Tuesday. — The wintertime maximum extent of sea ice in the region, in March of this year, was the second lowest in 39 years of record keeping. 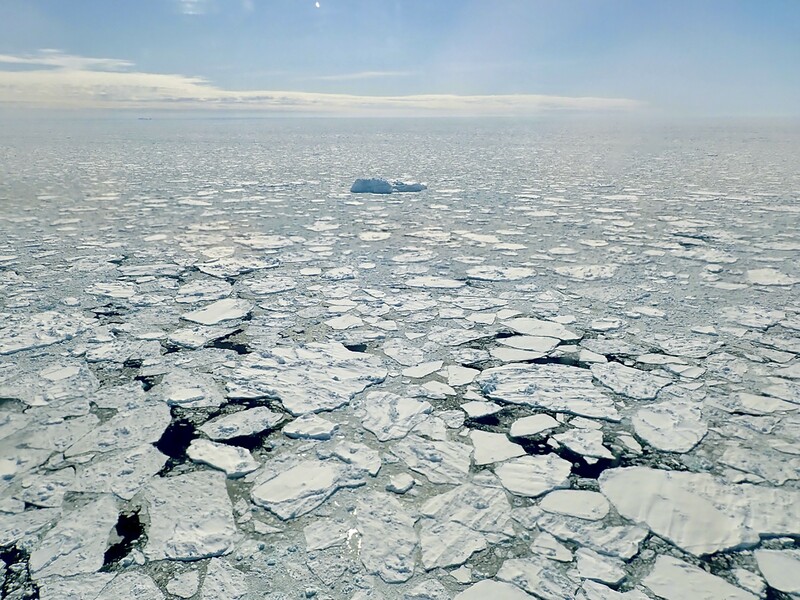 — Ice that persists year after year, forming thick layers, is disappearing from the Arctic. This is important because the very old ice tends to resist melting; without it, melting accelerates. Old ice made up less than 1 percent of the Arctic ice pack this year, a decline of 95 percent over the last 33 years. — Donald K. Perovich, a sea-ice expert at Dartmouth College who contributed to the report, said the “big story” for ice this year was in the Bering Sea, off western Alaska, where the extent of sea ice reached a record low for virtually the entire winter. During two weeks in February, normally a time when sea ice grows, the Bering Sea lost an area of ice the size of Idaho, Perovich said.